KIEV, Ukraine -- The United States pledged an extra $190 million in aid to Ukraine Monday, but Vice President Joe Biden warned that Kiev has just “one more chance” to root out corruption or lose the funding. The U.S. vice president backs Kiev in the face of Russian aggression. Biden held talks with Ukrainian President Petro Poroshenko, pledging support for Ukraine in the face of Russian aggression and urging the country’s leaders to continue on the path to reform. 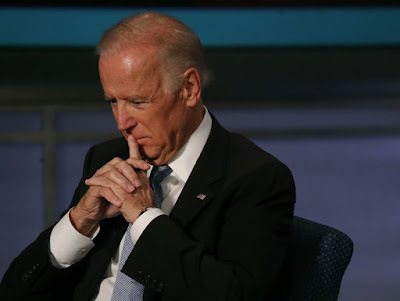 “The Ukrainian people cannot once again have their hopes dashed based on corruption,” Biden said. “One more chance. It’s absolutely critical for Ukraine in order to be stable and prosperous and part of a secure Europe to definitely, thoroughly, completely root out the cancer of corruption. The people need to see that the ways of the past are permanently gone, they no longer exist. That means ramping up the pace of reforms, avoidance of past practices, advancing good governance, increasing transparency across the board at every level of the government and strengthening the rule of law. The $190 million in funding brings the total American assistance in recent years to $760 million. “We continue to believe that the best way to end the conflict in Donbass is through a diplomatic framework that was laid out in the Minsk agreement. But both sides need to hold up that bargain. He added that the government has made progress in reforms, including the selection of an anti-corruption prosecutor.